What is A Certified Environmental Specialist? A certified environmental specialist is a scientist, who studies a particular population and its impact on the environment. These specialists are experts in natural science and they can identify problems or areas of concern within a particular environment. They collect and analyze samples of water, soil, plant material, and a variety of other things. Environmental specialists monitor facilities that can potentially affect the environment or population. They act as environmental consultants for companies by researching and implementing ways to reduce waste and other dangers that threaten the environment. Environmental specialists work to address a variety of issues related to environmental concerns. They develop plans or make recommendations for solutions based on their research findings. The work of these specialists has a profound impact on the future of the environment. What Does a Certified Environmental Specialist Do? There is a wide variety of jobs available in the environmental industry. As of recently, there has been greater attention dedicated to this field and therefore, a growing number of job opportunities are being presented. Not only are individuals turning toward environmental careers, but companies and businesses are hiring environmental experts whom they can rely upon to counsel administrative members on implementing and adhering to policies that promote the general health and safety of the population and the environment.The health and safety of workers in the workplace is critical and requires a specialist, or team of specialists, to ensure that the company meets standard regulation requirements according to the Occupational Safety and Health Administration, or OSHA. Environmental specialists are able to perform observation checks, analyze the safety of the systems in place, and determine whether or not safety regulations are sufficiently met. A certified environmental specialist should be able to discuss up-to-date environmental laws and regulations, and know the requirements of the Clean Air Act and RCRA. Different features of the Clean Water Act need to be applied in day-to-day operation, and hazardous waste management systems must be implemented. A certified environmental specialist is responsible for communicating issues related to Storm Water Discharges and also, identifying the requirements of the SPCC plan. These topics are all covered in the online course for environmental certification. 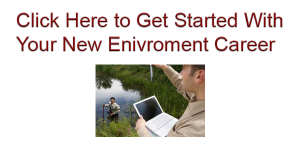 This course explains the process of becoming an environmental specialist and outlines in detail, the background, and related material that will bring you up to speed on what you need to know to be a certified environmental specialist. What Skills Are Needed to Be An Environmental Specialist? A college degree is required to become an environmental specialist. 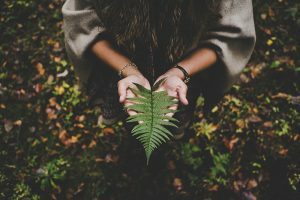 If you are interested in becoming an environmental specialist, you should be aware of some of the characteristics and skill sets that are needed in this line of work. -Ability to work indoors and outdoors. You will likely need to do both, so if you have a sole preference for one or the other, this might not be the right path for you. -Well organized. Environmental specialists often have to balance a variety of issues at one time, so it is important to be well organized in order to stay on top of managing their information and data. -Good communication. Communication is an important aspect of the job. Environmental specialists must be prepared to communicate research findings to colleagues, present reports, or give talks regarding a particular policy. People who work around hazardous materials or environments require the proper training to ensure the utmost safety of all workers. Facilities must be monitored for potential issues that could adversely affect the environment or public. If you are passionate about the environment and interested in pursuing a career in the industry as an environmental specialist, you must get certified. How do you get certified as an environmental specialist? Train4Less.com offers the convenient online course you need to become certified. Learn what your requirements are and master the course material. After successfully completing the Train4Less online course, you will be able to print your certificate. Train4Less courses are taught by qualified educators with experience in the field. The best part is, courses are online so you can access your training from anywhere! Who Hires Certified Environmental Specialists? A wide variety of businesses, organizations, and facilities hire environmental specialists to advise them on environmental policy, concerns, and best practices. You can see a sample of the many different types of job postings for environmental specialists here. Many specialists are hired by the government to monitor compliance with federal regulations regarding air, soil, and water safety standards. Some entry-level jobs for environmental specialists may include environmental research assistants or laboratory technicians. It is a good idea to gain some experience, possibly as an intern, and move up towards a more specialized degree. What Can I Expect My Future Career Path to Look Like? First, you will want to gain experience in entry-level jobs, such as interning as a research assistant or laboratory technician. After acquiring a few years of experience in an entry-level position, specialists may be on track for a position as a lab or project manager. Specialists with advanced degrees, may find work with the Environmental Protection Agency (EPA) or other departments like the fishery and forestry department. For those who are skilled at writing, there are opportunities available for writing grants and acquiring technical support. If you are interested in the legal aspects of environmental policy, you may find yourself pursuing a law degree. Some prospective specialists may enjoy working with the public in the area of environmental education and communication . As the industry grows, it is expected that there will be a 15% job growth in environmental work in the next decade according to the Bureau of Labor Statistics. This is a great time to get involved in this booming field! You can get started today by enrolling in a course now!